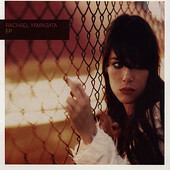 On her debut, self-titled EP, Rachael Yamagata delivers a mature, pop-rock record, her passionate, soulful vocals leading the listener through great storytelling, strong hooks, and beautifully layered instrumentation, each instrument like a well groomed haircut, not a thing out of place. Laid back, but not at all timid, this strong-willed collection of five songs brims with confidence, helping to ensure a listen that will leave you weeping. Influenced by Carole King and James Taylor, Yamagata hits those depths and proves to be a songwriting with the chops and staying power to match their influence. I'll give it a B+.